Back in the days before personal computers were part of every household and when watches only told time, a deck of cards was a very good source of entertainment. Not only was there a multitude of multiplayer games, there were also those you could play by yourself. These card games that were played solo were called Solitaire. There were many, but by far the most popular was Klondike. Granted that was as seen through my own eyes and living through my own experiences. My grandfather, who would be over 100 by now, even had a piece of plywood he cut, sanded, and varnished only to rest on his lap so he could play solitaire with his feet up as he either listened to his vinyl albums, the radio, or watched the news on TV. It never seemed like he would watch anything but the newscast as he played cards. 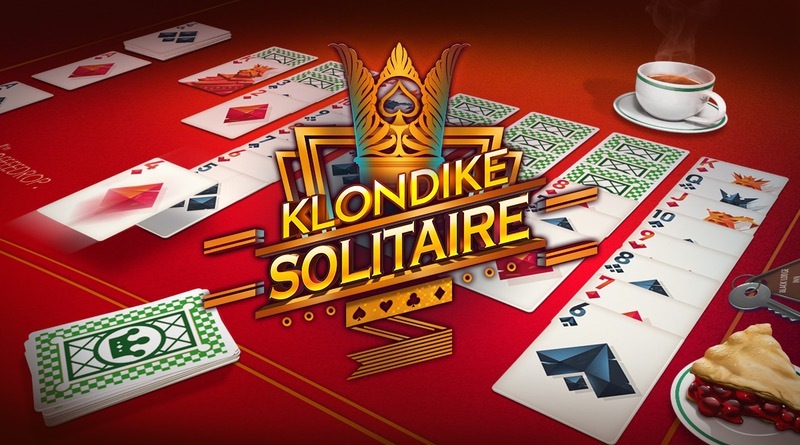 Klondike Solitaire is a digital representation of this classic game made for the Switch. The goal is to move all of your cards to the base piles in order from Ace to King. The playing field had to be played in reverse order of King to Deuce with the Aces going directly to the base piles. The cards had to be placed in an alternating color of black and red. Many an hour have I spent playing this classic card game both with a deck of cards as well as on a computer, and more recently on my cell phone where I can place my finger on the cards and drag them where they need to go. It only makes perfect sense to want to grab the cards and place them, but not so on the Switch. You need to use the controllers to move the cards around even though the Switch has a touch screen. This is what really prevents this from being a solitaire game I would even recommend you purchase at all. Even though you can earn little trophies and new card styles, there just isn’t much that can be said of the presentation. It’s slightly better looking than Microsoft’s free Solitaire games that give you five different variations, plus you have that touch screen interaction. Add to that the incredibly repetitive and unimaginative music and you’re set for a really dull experience. It’s too bad because this should be an easy to nail game for the system. If you’re solely playing on the TV you might get some enjoyment, but the handheld mode is hampered by the poor control choices. Without the ability to use the Switch’s touch screen to move your cards around, Klondike Solitaire plays like a clunky version you may have played on the original Nintendo back in the ‘80s. If you have a smart phone, just download one of the plethora of free titles there. This one just really isn’t worth your time or money.